Violin virtuoso Nigel Kennedy will headline this year’s Scarborough Jazz Festival when he performs alongside guitarist John Etheridge and their band. The exciting pairing of the world’s leading and best-selling violinist of all time alongside one of jazz’s most accomplished guitarists is set to make this year’s festival one of the country’s most talked about Jazz Festivals. The duo are just one of fifteen acts that have been announced to play the three day festival at Scarborough Spa between 26-28 September which as always features a great blend of experienced and upcoming talent. Alongside returning established artists such as Alan Barnes, Anita Wardell, Clark Tracey, Dennis Rollins, Gwilym Simcock, Iain Ballamy and Stian Cartenson there will be performances from rising stars Ollie Howell, Theo Jackson and Nathaniel Facey. And two big combos will resound in the Grand Hall: Gerry Mulligan Concert Jazz Band and Paradox Ensemble. Early bird Weekend Tickets go on sale at 10am on Friday 31st January priced at £77! The Howard Assembly Room prides itself on an eclectic programme with something for everyone. This season jazz enthusiasts have top-notch entertainment coming their way. Silent film His People (8 Feb) is accompanied by a new live Klezmer inflected soundtrack by virtuosic violinist Sophie Solomon and her band. His People captures life, love and generational clashes against the backdrop of New York’s bustling immigrant-Jewish Lower East Side, this is a rare opportunity to see one of the most evocative films of the 1920s – not to be missed. Tickets are selling fast for the Bill Frisell Trio and their evening of music from his Beautiful Dreamers album (5 Apr). There’s a chance to hear Frisell’s music again as a searing recorded soundtrack accompanying Bill Morrison’s powerful film depiction of the 1927 Mississippi flood, The Great Flood will be screened on Saturday 12 April. Electrifying and life enhancing, René Marie (23 Apr) draws together jazz, soul, gospel and Americana to powerful effect. She’ll blow you away as she sings her love songs to America from her album Voice of My Beautiful Country. A FILMusic highlight this season is Sunrise – A Song of Two Humans (26 Apr), this classic silent film will have a new live score by pianist Joanna MacGregor and jazz saxophonist Andy Sheppard. 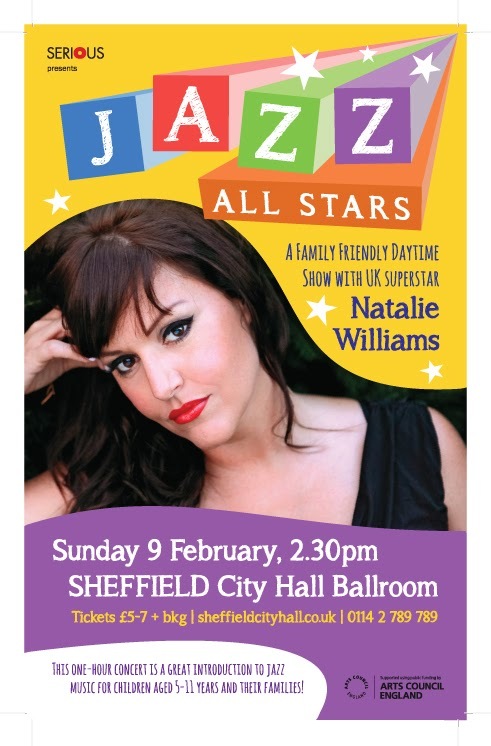 Premiered at the EFG London Jazz Festival, the brilliant Jazz All Stars family friendly daytime show returns to Sheffield. Join theline-up featuring the brilliant vocals of jazz superstar Natalie Williams and some of the UK's finest jazz musicians in a fun-filled family concert. They will lead you through best-loved jazz classics and give a jazz twist to some children's film favourites including Disney classic The Jungle Book, The Wizard of Oz, The Flintstones and The Sound of Music. This one-hour concert is a great introduction to jazz music for children aged 5-11 years and their families. 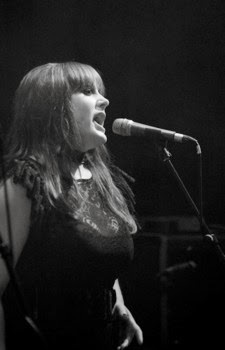 Lead singer of the Ronnie Scott’s All Stars, Natalie Williams is an essential fixture in UK music and has performed with the likes of Jamie Cullum, Emeli Sande, Lalah Hathaway and many more. Natalie tours extensively around the globe performing at a number of the world’s leading live music events such as the renowned London Jazz Festival, Glastonbury, the Diamond Jubilee Pageant and most recently the BBC Proms – where she performed at the Royal Albert Hall with Laura Mvula and Maverick Sabre. Her brand new album Where you Are is out now. Here’s a teaser https://www.youtube.com/watch? It was certainly a great evening last Saturday at Jazz at the Spa with Alan Barnes and John Hallam (despite a rotten cold) with the Tom Kincaid Trio in fine form. 1st – Frank Brooker’s Happy Chappies – our local boy made good! Here’s a line up of excellent local musical worthies led by Frank on reeds, Greg Wadman on trumpet, Jim Wright on banjo/guitar, Phil Kampen on bass and our favourite drumming man, Rod McNamara. Happy Chappies equals Happy Sounds. 8th – Papa Pider’s Jazz Band – an eagerly awaited return by this re-formed Swedish band which specialises in the “revival sounds” of Barber and Colyer. It takes its name from one of our favourite visiting trombonists - Pider Avall (formerly of Mysto’s Hot Lips). A superb session last time round – we anticipate the same. £10. 22nd – Amy Roberts/John Hallam Jazz Five – here we bring together two of our all time favourite reeds players to serve up a delectable miscellany of the standards. To which we then add Tom Kincaid on piano, Jim Swinnerton on bass and Nick Millward on drums. Talk about a first class line up! 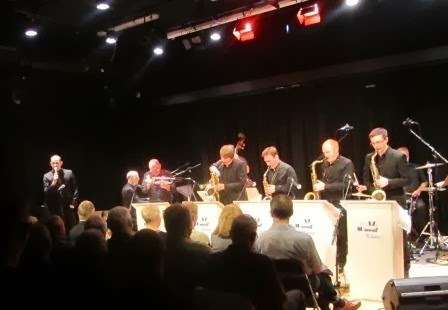 29th – Richard Leach’s Seven Stars of Jazz – the annual visit of one of the UK’s finest traditional jazz bands playing in the Chicago style of Eddie Condon and Alex Welsh. Superb musicians, exuberant music and a good night guaranteed. We are situated just off the new section of the A1(M) at Junction 45 signed Wetherby and Otley. Singers, artists and performers joined forces at the Trinity Leeds shopping centre to perform the theme song for the first ever Yorkshire Festival, as the programme of events for the landmark 100-day arts celebration was announced for Le Grand Depart - the start of this year's Tour De France in Yorkshire. A carnival snail, woolly bikes, choirs and brass bands emerged from the centre’s shops to join band Hope & Social in blasting out ‘The Big Wide’ to a growing crowd of interested shoppers. Not strictly jazz maybe but there are jazz musicians involved in the winning submissions - trumpeter James Hamilton, the driving force behind Hope and Social also recently won the Jazz Yorkshire's award for writing a Yorkshire Jazz Suite. Jazz singer Louise Gibbs has been commissioned to help local communities in Yorkshire write their own songs, in Le Grand Depart "Songwriter Relay"
For information and listings visit www.yorkshirefestival.co.uk. ... and many many more!!! 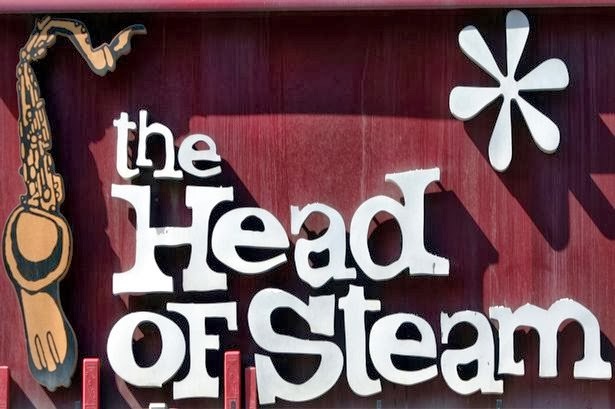 The Head of Steam in Huddersfield has been taken over by Cameron's brewery. The jazz on Monday and Wednesday nights has already been stopped, but there's going to be one last gig this Sunday lunchtime - they had a big meeting this afternoon to discuss finances - but then that'll be it. So get yourselves down there this Sunday if you can, and bring cameras and recording devices - it's Frank Brooker on saxophone/clarinet, and Greg Vincent on piano, along with regular drummer and bass player Bernie and Dave. It'll be a sad day for us all, the gig's been going for years, since 1993 in fact! Tony Leigh started it - the great pianist who's now living up in the Orkneys. We'll give it a last big blast! Dominic J Marshall: piano; Tobias Nijboer: double bass; Kaspars Kurdeko: drums. A new project led by Harry Orme, formed in late 2013 playing all original compositions. With special guest Matt Anderson, who has been making waves performing and recording as a sideman with Jiannis Pavlidis, Jamie Taylor and Jamil Sheriff, as well as leading his own projects. Also, rising stars of the northern scene: Declan Forde (Piano), Sam Vicary (Bass) and Sam Gardner (Drums). The trio features Eirik Svela (Guitar), Simon Read (Bass) and John Arnesen (Drums). The band plays firmly within the hard-bop tradition drawing influences from legendary guitarists such as Wes Montgomery and Pat Martino. The trio’s repertoire is a mix of interpretations of standards and some original tunes. Jazz at Heart hosts the first Transatlantic tour by Apollo Jazz Network. Hailing from North Carolina, Fat Face Trio features trumpet, tuba and guitar. Led by trumpet Matt Postle, the group plays a diverse range of music and embraces the challenge of their unconventional line-up. 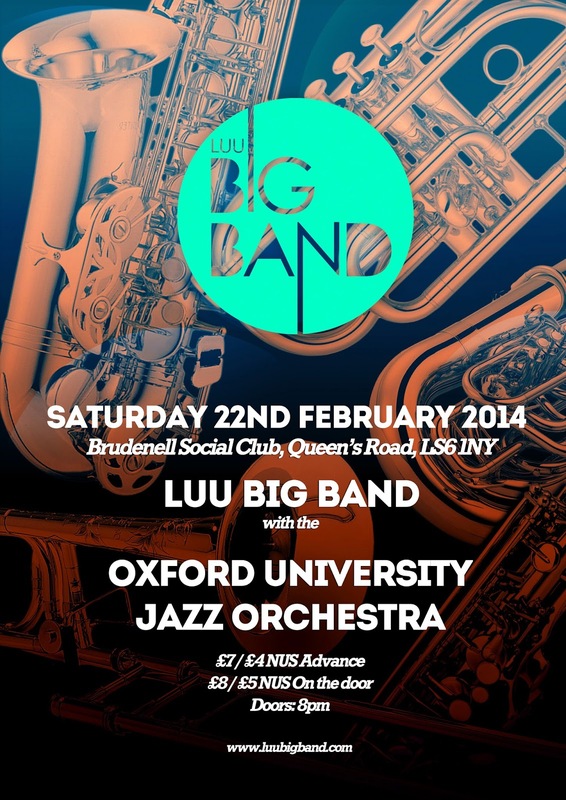 A rare UK appearance from a group which promises unexpected turns and a fresh take on the jazz trio. Launched in 2010, international quartet Veronneau have captivated festivals, concert halls and jazz clubs across North America and Europe. Led by French-Canadian singer Lynn Veronneau, the group play a mix of bossa nova, swing, samba and gypsy jazz performed not only in English but in French and Portuguese, too! The band return to the UK this summer following on from hugely successful festival appearances in recent years. This year we’re celebrating the 10th anniversary of the UK’s biggest jazz festival under one roof outside London, between 4-6 April 2014. Highlights include... The Spring Quartet on its first visit to the UK featuring 2012 NEA Jazz Master Jack DeJohnette on drums, heavyweight saxophonist Joe Lovano, 2011 ‘Best New Artist’ GRAMMY award-winner Esperanza Spalding on bass and Argentinian pianist Leo Genovese. Robert Glasper joins the GIJF14 line-up for a late night set in Hall Two continuing to stake out new musical territory, drawing on jazz, hip hop, R&B and rock, and refusing to be defined by any one genre. 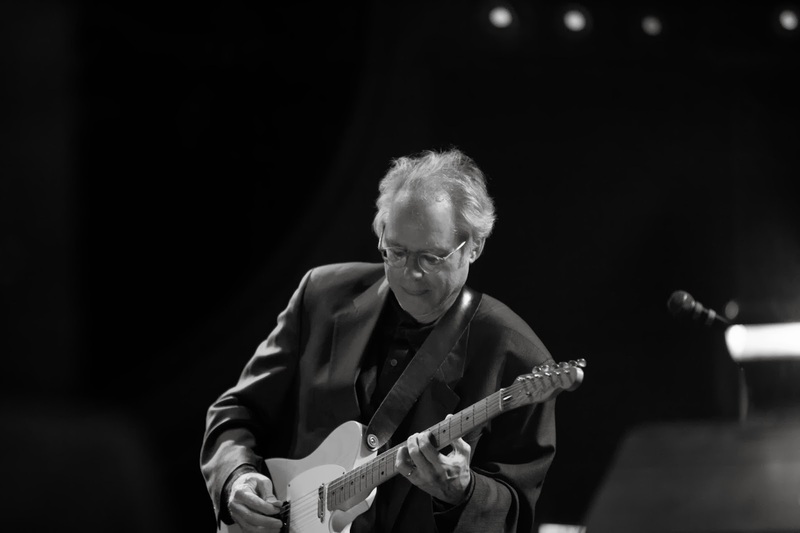 One of the world’s favourite jazz guitarists,Bill Frisell, will be another major highlight. 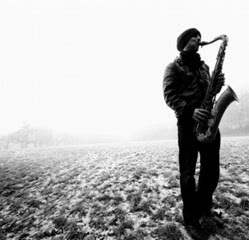 This year we welcome the return of acclaimed UK jazz composer Django Bates with his Belovèd Trio in a new partnership with the GRAMMY-nominated Norrbotten Big Band from northern Sweden performing his Charlie Parker inspired programme and Swedish saxophonist Joakim Milder and his suite of jazz arrangements of the music of the North East’s own Prefab Sprout. Plus jazz, funk and soul musician Ed Motta; Courtney Pine with the critically acclaimed ‘House of Legends’ project; Bill Frisell Trio, Polar Bear plus Shiver, The Scottish National Jazz Orchestra with Jacqui Dankworth; Django Bates, Joakim Milder and the Norrbotten Big Band; Jean Toussaint Quartet; McCormack and Yarde Duo with the Elysian String Quartet ....and much much more! No musician more embodies the dramatic transformation in the British jazz scene over the past twenty + years than Courtney Pine C.B.E. The ground breaking, multi- instrumentalist has led a generation of exciting and innovative players who have broadened their styles to take jazz out to a wider audience. Fresh from sell out shows across the US,Canada and Europe, headline slots at Bestival, Love Supreme and Greenbelt Festivals here in the UK, Courtney in back touring his critically acclaimed House of Legends set. This, his 15th studio album to date sees Courtney return to the instrument he is best known for - the Saxophone and features his soprano sax exclusively for the first time. Deeply steeped in the traditions of the Caribbean, this very personal project sees Courtney on top form, bringing together musicians from Africa, the Caribbean and Europe for vibrant exchanges that tell tales of life from a truly multi-cultural view point. Expect an exhilarating mix of Merengue, Ska, Mento and Calypso as played through the lens (saxophone) of a UK born artist with strong, proud Afro-Caribbean roots. The Hepworth Gallery, Wakefield, in association with The Yorkshire Live Music Project, has launched a monthly season of free admission live jazz with major UK musicians. The Weave on Thursday 20 March. Sam Leak's Aquarium on Thursday 17 April. The Hepworth Gallery is now ranked 50th in the world by The Times, and just a few weeks ago, welcomed its one millionth visitor. The Yorkshire Live Music Project was established in 2009, with an innovative and ambitious mission to widen the audience for live jazz. YLMP Administrator Sandra Carlon said: “We were thrilled to be invited to contribute to the after hours series of events at The Hepworth. This means loads more really great jazz for loads more people – and it’s free. Our work is about introducing people to this fantastic genre. The Hepworth Wakefield is such a fabulous place to do just this. 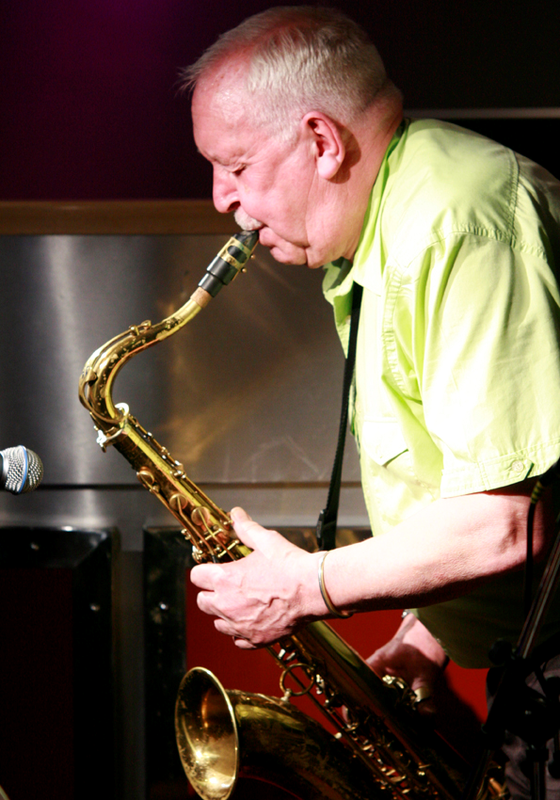 The live jazz events are mostly held in The Hepworth’s café/bar with great wine, beer, hot drinks and food available. The gallery is open to 9pm Thursdays and hosts regular changing exhibitions of contemporary art. Here's a quick update on where you can find Jazz in York on each day of the week. 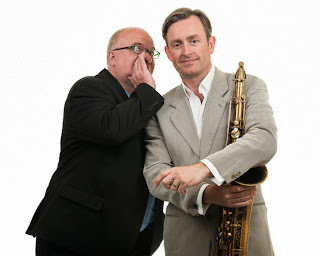 You can check up to date listings at www.jazzinyork.com and receive regular news letters by signing up to the mailing list. Monday - Kate Peters Quartet - The Phoenix Inn - 1st and 3rd Mondays of every month. Kate and bass player John Marley are joined by a selection of the best jazz musicians in the region. Playing jazz, funk and Latin standards from 8.30pm. Free entry. Tuesday - Encouraging the Loony - The Victoria Vaults - 1st Tuesday of every month. Pianists Karl Mullen and drummer Neil Scott play as a very unique duo with a great varied repertoire. 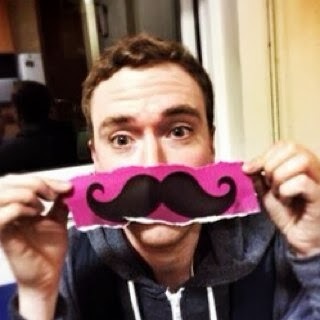 Very entertaining! 8.30pm. Free entry. Wednesday -Jam Night - The Phoenix Inn - weekly. Come and play or listen at this very friendly jam session. All abilities welcome. Free entry from 8.30pm. Kier Hall Trio - Zizzi's Restaurant - Great instrumental trio playing in a nice restaurant. From 7.30pm. Thursday - Mardi Gras Band/Bejazzled - Middleton's Hotel - Weekly - Excellent swinging jazz from both bands in a relaxing bar/restaurant. Free entry. Starts at 8pm. Karl Mullen Trio - Churchill's Hotel - last Thursday of each month - Great piano trio playing in the restaurant. Expect jazz, blues and funk standards. Friday - Guest bands - Middleton's Hotel - A great variety of guest bands in the refurnished lounge. Free entry. Starts at 8pm. Sunday -Jazz Trio - Kennedy's Bar - Weekly - Drummer Paul Smith and bassist John Marley are joined by different guests every week to play jazz standards in this great bar/restaurant. 1pm. Free entry. Sunday Jazz - The Phoenix Inn - Weekly- A rotation of excellent bands including the Ian Chalk Quartet, Central Scrutinizers and guest bands. Always a high quality of musicianship. Free entry. 8pm. Jazz Duos - Rook and Gaskill - Weekly - a variety of vocal jazz duos. Regular singers include Jen Low, Kate Peters, Georgina Barr and Sandra Russo. Free entry. 8pm. 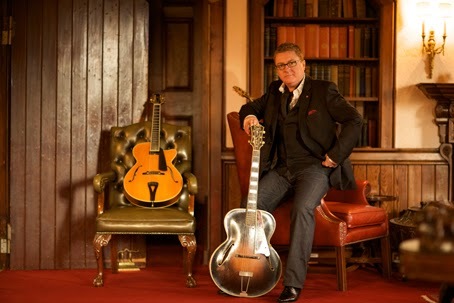 Multi-award winning guitarist and composer Martin Taylor has established a unique musical career as an internationally acclaimed musician, and his inimitable style has seen him recognized as the world’s foremost exponent of solo jazz guitar playing. As well as his solo concerts and recordings, he has also collaborated with musicians from many different musical genre including, Stephane Grappelli, Jeff Beck, Chet Atkins, Bill Wyman, George Harrison, Dionne Warwick, Diane Schuur and Jamie Cullum. His ground breaking solo album Artistry, produced by Steve Howe, was released in 1992 to much critical acclaim. 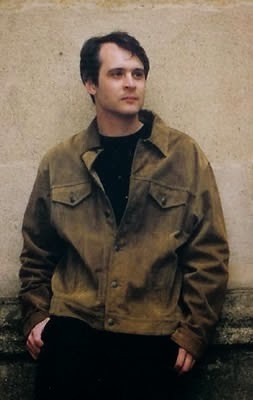 It was No 1 in the HMV Jazz Charts for a record 12 weeks and launched his career as an international solo artist. The ensuing years have seen him release further albums for Sony/Columbia, Kiss and Tell and Nitelife, and receive countless awards, two honorary doctorates and, in 2002, an MBE for services to Jazz Music. His on-line guitar academy, launched in 2010, is now subscribed to by guitarists in over 58 countries. 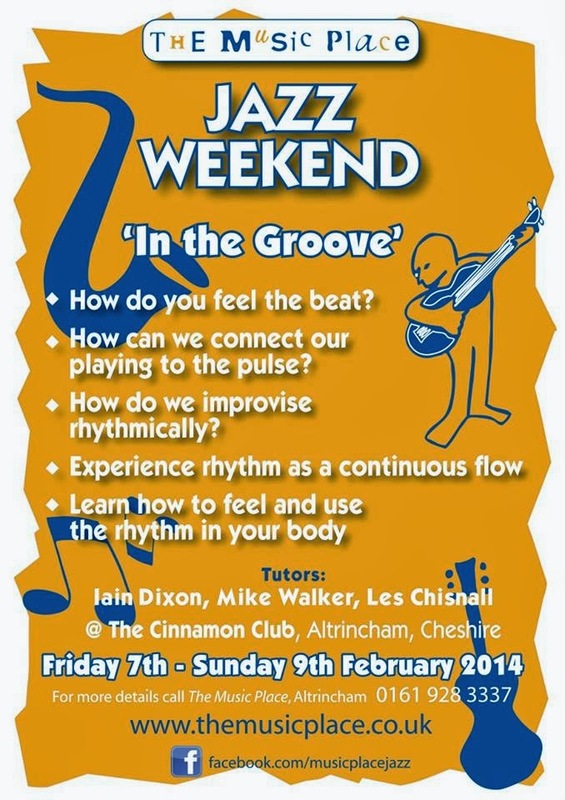 "In the Groove" Jazz Weekend for musicians with Iain Dixon, Mike Walker and Les Chisnell. Dates are 7th Feb to 9th Feb at the Cinnamon Club, Altringham, Cheshire. Headlining and opening the festival on Thursday 27th February is celebrated British jazz pianist and multi-award winner Jason Rebello. Labelled a veteran by critics at the age of just 19, Rebello has since collaborated with some of the most highly regarded artists in the industry, including Jeff Beck and Sting. 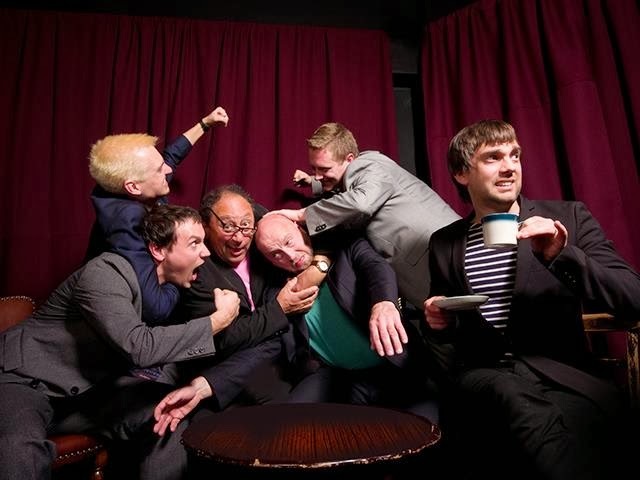 On Friday 28th February, unique Anglo-American jazz ‘supergroup’ The Impossible Gentlemen will perform tracks from their new album. Already being tipped for the 2014 “best-of” lists (Allaboutjazz.com) Internationally Recognised Aliens also features the band’s newest line-up, Steve Rodby, former bass player with the Pat Metheny Group. On Saturday 1st March the ever evolving music of Unfurl will take audiences on a journey that combines Indian ragas, flamenco and Arabic music, while Blue Touch Paper will perform exciting tracks from their brand new album Drawing Breath. Rounding off a high energy weekend on Sunday 2nd March the festival culminates with another two concerts. Firstly Stuart McCallum Trio collaborates with Real Strings while the second instalment of the day comes from one of the UK’s most exciting live bands, award winning Get The Blessing. Featuring members of legendary trip hop band Portishead and fresh from a European and American tour, their unique signature sound never loses its monstrously infectious beats and spontaneity. 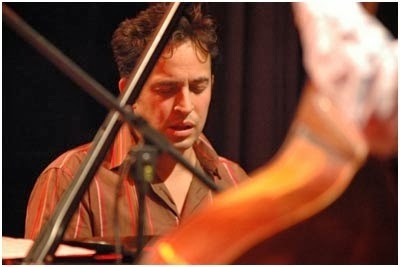 The Weave, a collection of Liverpool’s most established jazz musicians, and acclaimed jazz pianist Jamil Sheriff in a trio with Dave Walsh on drums and Pete Turner on double bass, both perform on Saturday 1st March. While on Sunday 2nd March, there will be performances from ACV, an experimental contemporary jazz quintet from North East England and classic and contemporary sax quartet HSQ are joined by Rachael Gladwin on harp and percussionist Phil Bennett to form HSQ +2. Throughout the weekend there will also be free workshop sessions taking place. At 12 noon on Saturday 1st March, Unfurl will focus on their practice of developing jazz compositions based on ideas and approaches from Indian classical music. 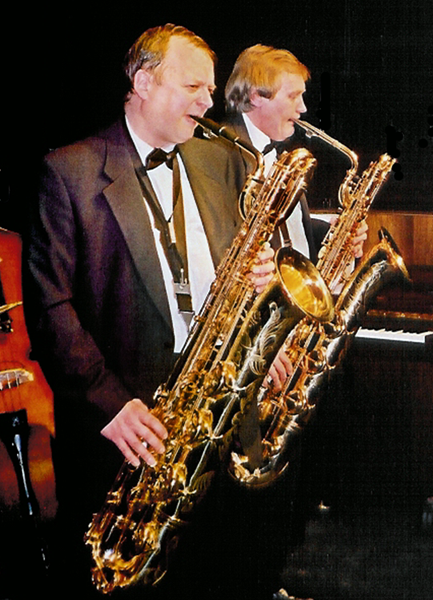 While on Sunday 2nd March, also at 12 noon, join Dave O'Higgins for a saxophone masterclass. Both sessions are free and open to all. Beverley Beirne and her quintet appear on 22 February at the Wildman Studio, Ilkley Playhouse with four of Yorkshire’s finest musicians, Declan Forde (Piano), Simon Read (Bass), Sam Gardner (Drums) and Ben Lowman (Sax) and some great new music. 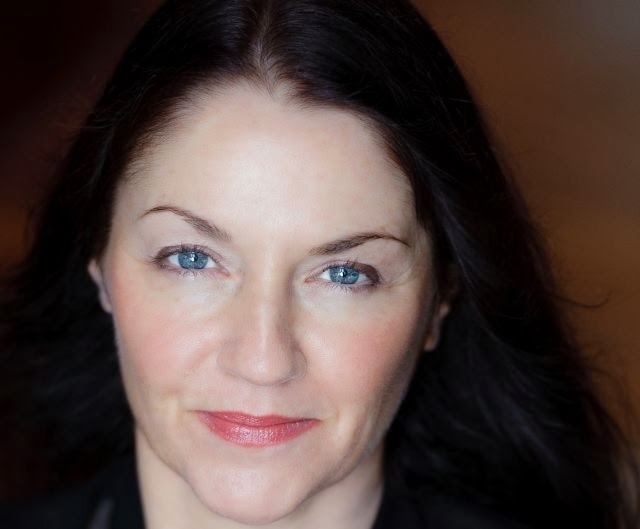 Beverley Beirne is a jazz singer fast becoming known for her ability to innovate as for her stunning voice, a truly gifted interpreter, she sings a captivating mix of beautifully arranged standards and exciting interpretations from other genres. Beverley's arrangements of well known songs like 'Walk On By' make them her own. She has a wonderful feeling for interpreting numbers into a jazz context yet still keeping the original feel of the song. 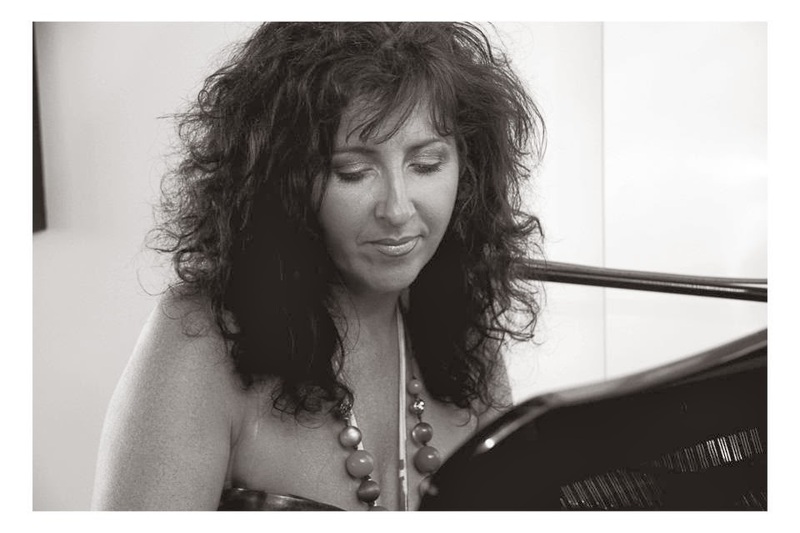 After the release of her acclaimed debut album ‘Seasons of Love’ in 2012 Beverley has been singing at a number of top jazz festivals and venues, including Marsden Jazz Festival (2010 and 2013), Callander Jazz & Blues Festival (2013) The Lit & Phil, Newcastle, Seven Jazz, Leeds and Matt & Phred’s, Manchester. This exciting singer is receiving substantial plaudits from the jazz community worldwide and 2014 finds Beverley at the prestigious Pizza Express, Pheasantry this February for her London debut. Every Wednesday, 48 weeks of the year we host a diverse range of music from local, regional and national touring artists, all in the intimacy of The Lescar back-room, and showcasing the depth and vibrancy of the UK jazz scene. - followed on Feb 5th by Tom Harrison (alto sax/flute), Connor Chaplin (bass) and David Lyttle (drums) all joining Sheffield based guitarist Jamie Taylor. - Sheffield-based Latin/funk outfit Montuno are sure to lift the roof off the Lescar on Feb 12th! - Let Spin visit on Feb 19th; an all-star line-up with Ruth Goller (Acoustic Ladyland) on bass, Moss Freed (Moss Project) on guitar, Finlay Panter (Beats & Pieces) on drums and Chris Williams (Led Bib) on sax. 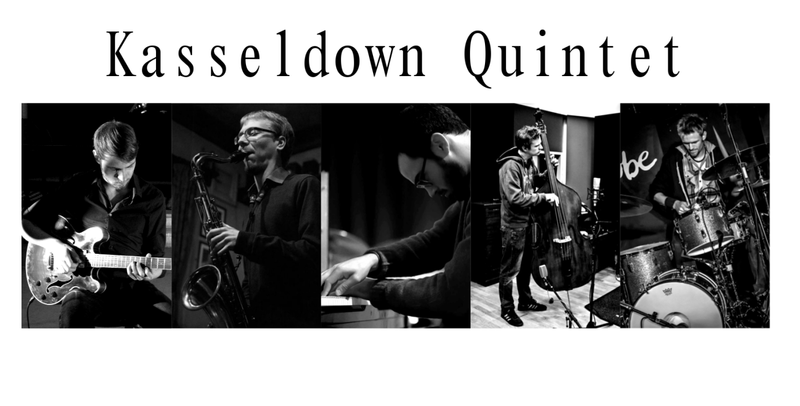 - Finally more from the London scene on March 5th, with a quintet led by Portuguese guitarist Vitor Pereira, featuring Chris Williams, George Crowley, Andrea Di Biase and Dave Hamblett, playing music with hints of both classical and world music. Les Brown writes - we had a cracking start to the New Year on Saturday evening with the Savannah Jazz Band in excellent form. Over one hundred in the audience and a wonderful atmosphere. Please find attached the programme for January/February. 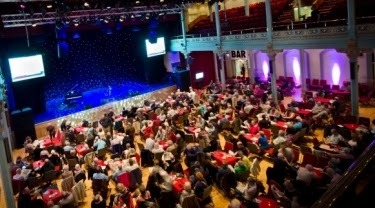 The programme to the end of May is on the website (http://www.jazzinthespa.co.uk/). Thanks for all your support in 2013. The good news is that we intend to hold the entry price at £8 for 2014 (specials excepted). 1st Feb - Maine Street Jazzmen – this band from the North East has quickly established itself as a real favourite of the Boston Spa audience. No nonsense, driving traditional jazz with the added bonus of some superb harmonica playing from trombonist/leader Herbie Hudson and a sprinkling of upbeat vocals from Olive. 8th Feb– New Orleans Heat – always welcome visitors to Jazz in the Spa is this seven piece group playing “old style” New Orleans jazz but with renewed verve and vigour. First class musicians led by pianist Barry Grummet, the band presents a programme of stomps, blues, spirituals and rags in the styles of Bunk Johnson, George Lewis and Kid Thomas. 15th Feb – Spirit of New Orleans – and holding to the New Orleans theme, here’s a highly regarded Yorkshire based band with a delightfully relaxed, wide ranging and distinctive style. Led by trumpet maestro Dave Pogson, this band swings and entertains in equal measure. 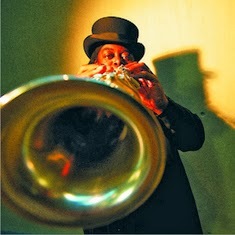 22nd Feb– Boston Spa Real Ale Festival – featuring Ron Burnett’s Mardi Gras Jazz Quartet. No evening session this week as the Village Hall is transformed into a Mecca for Real Ale enthusiasts with up to 30 ales to choose from. The Mardi Gras Quartet will be on stage from 2.00pm to 4.00pm - the session being sponsored by Jazz in the Spa. Entry £5 to include a Festival glass. UK jazz vocalist and songwriter Zoë Gilby, who has been making a real impression on the jazz scene is to perform at The Atkinson, Southport on Friday 24 January. With a constantly expanding repertoire that starts with her compelling original compositions written with double bassist husband Andy Champion and performed by her highly accomplished band, which features guitarist Mark Williams and drummer Richard Brown. Her stockpile of music reaches a wide range of more contemporary material from composers such as Pink Floyd through to Kate Bush. Also included in her varied programme are some superb interpretations of “The Great American Songbook“. The Zoë Gilby Trio perform at The Atkinson on Friday 24 January at 7.30pm, tickets are £8 in advance and £10 on the door. Come and forget your January blues! Tickets are available online at theatkinson.co.uk or by calling The Atkinson box office on 01704 533333. You can also purchase your tickets over the counter during The Atkinson’s opening hours. Jazz and Swing this Spring@Wilmslow! Graham Brook promotes "Tuesday Jazz and Swing" upstairs at Wilmslow Conservative Club,15, Grove Avenue, Wilmslow SK9 5EG commencing at 8.30pm. £7 on the door as follows. Graham also promotes "The Sinatra Swingers" on the first Thursday of every month at Cheadle Hulme Conservative Club, Mellor Road, Cheadle Hulme, SK8 5AT. Show starts 8.30pm £6 on the door. Gordon Robinson, Dave Browning, Vinnie Parker, Dave Turner and Nigel Cretney with guest vocalist. The guest for February 6th is Rosie Harrison. Shows also on March 6th, April 3rd, May 1st, June 5th, July 3rd, August 7th, September 4th, October 2nd, November 6th, December 4th. Josh Kemp Quartet. Josh is an acclaimed jazz saxophonist and composer known for his melodic inventiveness, warm tone and a heartfelt and lyrical approach to improvisation. He will be joined by the Jamil Sheriff Trio, to make up the quartet. Steve Oakes Quintet featuring George King - straight ahead jazz with one of our stalwart jazz@davenham supporters and favorite jazz guitarists. Steve is joined by Gavin Barras on bass, Ed Kainyek on tenor sax,Tim Franks on drums and George King on piano. Steve played a fantastic set here in early 2012, to help the "new" jazz@davenham, and George King actually played our first concert in Nov 2011. I hope you will show Steve how much we appreciate his support. 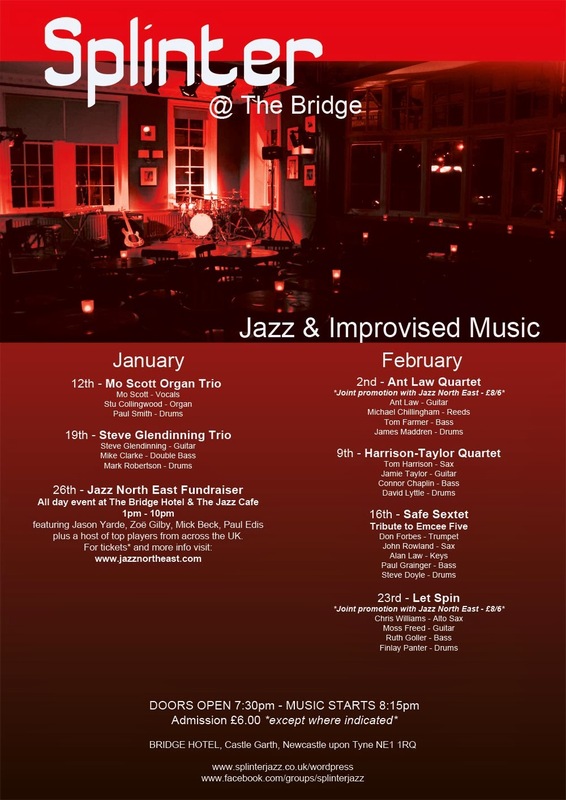 Darlington Jazz Club at The Forum has released a great set of gigs for January and February. 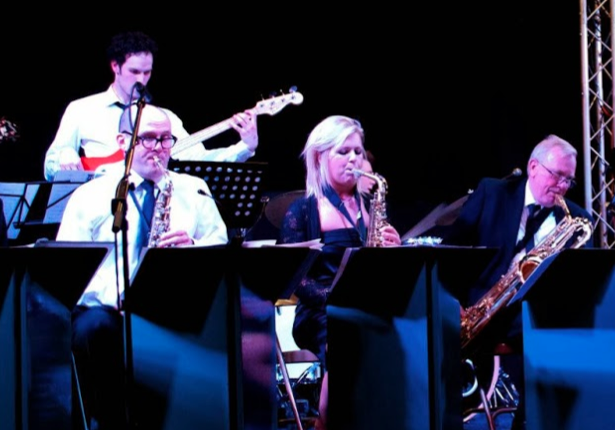 The Darlington Jazz Club was created in the summer of 2012 following a successful first Darlington Jazz Festival. The inspiration for the festival first came about following the death of popular teacher and band leader from the town, Alf Hind. 23rd Febuary - Alan Owen's Big BandDoors 5.30pm Live Music from about 6.00pm. All gigs at The Forum Music Centre, Borough Rd., Darlington DL1 1SG. International jazz and talented northern bands at Seven Jazz’s two venues, Seven Arts and Inkwell Arts in Chapel Allerton Leeds this Spring. The first evening is award-winning jazz alto saxophonist and hip hop star Soweto Kinch ‘The Legend of Mike Smith’ with support from the Abstract Hip Hop Orchestra. Then Canadian Trumpeter Jay Phelpes has put together a trans-Atlantic sextet to perform the music of Miles Davis in his “Projection of Miles” concert. Leeds based jazz singer Louise Gibbs premieres her new “Seven Deadly Sings” , a jazz song cycle scored for voice and septet and a star line up of international musicians such as Tony Kofi, Tim Whitehead and Quentin Collins and then Jean Toussaint – the sax playing member of Art Blakey's Jazz Messengers - returns Seven Arts leading his own quartet. Australian tenor sax jazz star Brandon Allen comes to Leeds with his quartet on April 3rd and finally before Easter the superb duo of saxman Tommy Smith and pianist Brian Kellock make it down from Scotland before they close the border. Some new Northern based bands including bassist Simon Read’s Octet, saxman Robin Porter’s Quartet, fresh from this year’s Proms, the piano trios of Jami Sheriff and Declan Forde, guitarists Jamie Taylor and Gary Boyle, saxman Will Howard’s "Big Beat" double drum Quintet, and from London the wonderful young trumpet star Laura Jurd.